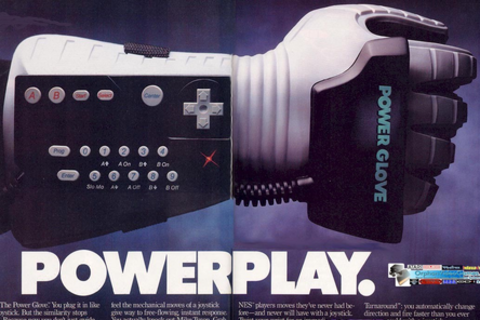 “Throw away your joysticks, kids,” began the 1989 article of “Design News” praising that year’s must-have Christmas accessory: the Power Glove. At the time it seemed as if traditional video game controllers would soon be a thing of the past. But the Power Glove was anything but a success. While it was a design and technology coup, coolness is unfortunately a poor metric for product success. What the Power Glove lacked was customer insight. During the technology and design crunch nobody stopped to ask, “How is this device for playing games? Do people want to use it?” Thus, the teams rushed blindly into building the wrong thing. Customer insight is the most critical piece of the application and software creation process. You can build something sweet, but if nobody uses it you’re left with little more than a colossal waste of time, effort and money. On the flip side, customer insight applied to the process can result in more customers, increased market share and a better ROI. Never start your talk with who you are. Give them a reason to care about who you are. As a developer, you are the first user. Mattel and AGE had to convert that into a consumer device. Total fire drill. Doing design, software and hardware all in parallel. Power Glove did this in reverse. Define market. Find out how to serve them. Every project starts with people. Who is this for. What is it going to do for them? Find the right problem to solve. What would happen if Nintendo had done a short study prior to building the Power Glove? Last game, who do you play them with, etc. Done in the context of the family, with parents involved. When you are buying a game, who makes the decision? Nintendo thought about players as Lucas Barton. About Me: I bought my first computer - an Apple Performa 6320 - when I was in college and have been building websites ever since. These days I spend most of my time writing code and helping to bring interesting projects to life.